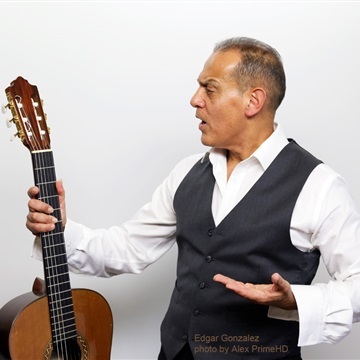 Edgar is an eclectic composer who blends Classical, Jazz, Latin American and Brazilian music to create engaging musical statements. Throughout his career he's shared the stage with such notables as Carlos Santana, John McLaughlin, Premik Russell Tubbs, Michael Walden, Yolandita Monje, Danny Rivera, Alice Coltrane, Anthony Bez, and James Taylor among others.He has received awards for his compositions in the advertising industry, as well as an award at the Cannes Film Festival in the short film category.He studied Music and Hispanic Literature at Kean College of New Jersey and St. Johns University, New York. 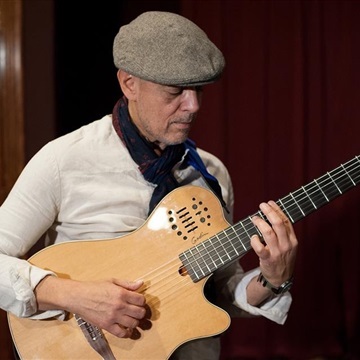 Edgar has also taken Master Classes with Dr. Aldo Morales, John McLaughlin, Charles Postlewaite, Jorge Morel and Federico Cordero.